It was a strange feeling indeed, not seeing Arsene Wenger prance up and down the touchline at the Emirates. Stranger still was the fact that there was no mention of Arsenal in the matchday program. Anyhow, I digress. While Arsenal lost 2-0 to a much superior Manchester City, there were some positives for Emery’s side. 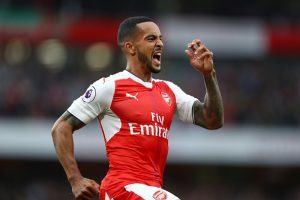 Most notably, unlike the last time the two teams faced off in the Emirates, Arsenal did not lose the game in the first half itself. Here are the Arsenal players rated and slated in their loss to Manchester City. It was indeed a case of a ‘Dr. Jekyll and Mr Hyde’ performance from the Arsenal goalie. Made some world class saves but had his share of blunders as well, most notably almost scoring an own goal without any pressure from the Man City attackers. His one on one save against Sergio Aguero in the second half was something that could make Emery start him against Chelsea next weekend. While Cech could have done more to save the first goal, he was blameless for the second goal. Decent but could have done better providing an outlet in attack. Did a nice sidestep in the Manchester City box and got a shot away which was saved by Ederson in the first half. Seems natural to pick on defenders on such a day but he was lazy in the first half. Picked the impetus up in the second half but still nowhere good enough. Decent debut for the Greek in the Premier League. Did not make many mistakes and was generally solid overall. Indeed a tough test for the youngster to play in an unfamiliar position against the defending champions. Did do his best but was ultimately ineffective against the runs of Kyle Walker. Picked up an injury and had to be subbed off in the 34th minute. Had his pockets picked too many times. He was to blame partially for the first goal. Full marks for his overall effort but would need more time to settle into the Premier League. Subbed off in the 54th minute. Hustled hard but unfortunately not much fell his way. You cannot fault him for his effort though. Had a really hot and cold performance on the day against Manchester City. While the German picked out a couple of really nice passes, the stray balls and some wrong decision makings would get under your skin of the Arsenal fans. Was almost invisible on the day. Made a late darting run into the penalty box which Lacazette blazed over. Could not do much attack wise and has to improve a lot next weekend against Chelsea. A great finish from him in the 78th minute and it was indeed a pity that he was offside. Tried a lot to bring Arsenal into the game but did not have great service on the day. It did not feel for a second that Lichtsteiner was playing in an unfamiliar left-back role. Did his job professionally and Emery should consider starting him at left back against Chelsea. Seemed to add a spark to the Arsenal side from the moment he came on. His curling shot, a couple of minutes after coming on, was just off the mark. However should have scored at least once from the subsequent chances he got. Decent. The best compliment you could give him is that he should have probably started in place of Guendouzi. Arsenal Linked With A Shock Move For This Real Madrid Sensation: Can Wenger Actually Land Him?